WELCOME HOME.. Olivet country location and yet close to schools. This quaint country charmer is ready for your personal touch. 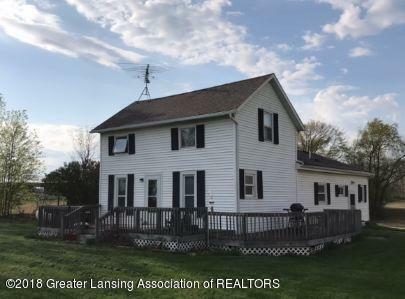 Home features a main floor master bedroom, laundry, a formal dining room with original woodwork details, a large front living room and a bonus breakfast nook off the kitchen that has ample cabinet and storage. Upstairs features the 2nd bedroom and large loft area that could be used as a non-conforming bedroom and country view out the windows. Home has many newer mechanicals updates, a wraparound front deck for watching sunsets and a large outbuilding for storing your treasures. All situated on a .84 lot and surrounded by farm land. Don't miss out-this one has vast opportunities.